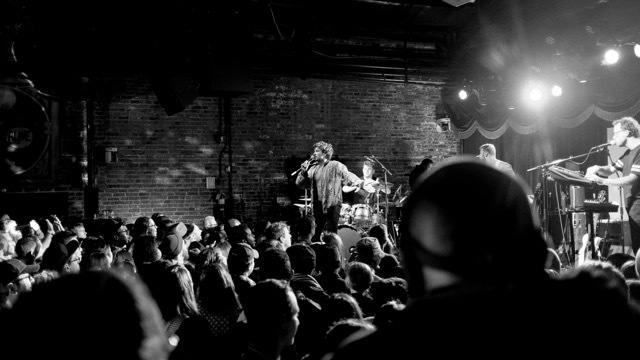 Almost 1,000 people were in attendance at a jam-packed house last November 8th at Brooklyn Bowl in Brooklyn, New York, to watch world-renowned performer Allen Stone hit the stage. Stone’s (very friendly) fan base came out in droves on a beautiful fall Wednesday to watch his first NYC show in over a year. The doors opened and people filed in to start their night, hitting the bowling lanes and enjoying some of the Bowl’s famously delicious chicken. Smiles and great conversations were everywhere. They were a perfect crowd for an award-winning venue like Brooklyn Bowl, whose stage has featured acts the caliber of Guns N’ Roses, Kanye West and thousands more over the years. Typically, a concert with a well-known headliner like Allen Stone will feature other label-signed acts as its openers. Tonight, the audience was in for a particular treat, and something a little bit different. 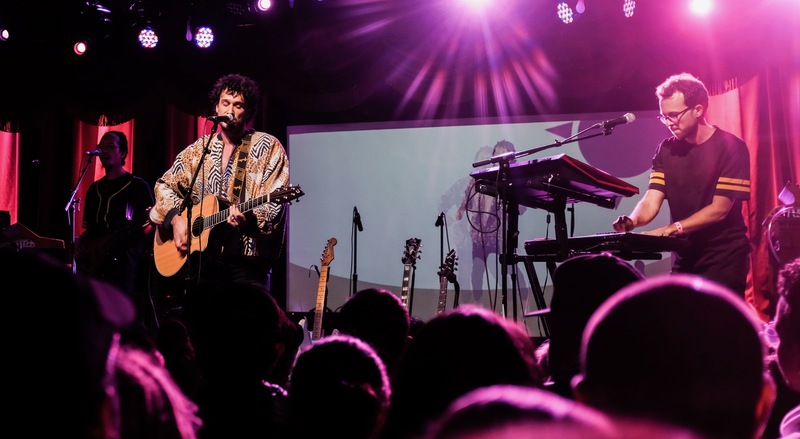 With Sonicbids as a production partner and sponsor, Brooklyn Bowl, Allen, and Sonicbids worked together to find two opening acts that fit well with Stone to entertain and warm up the crowd without label help. After a month-long selection process, local acts Tim Stout and Caleb Hawley were picked to open and support that night. Tim and Caleb both submitted to play the show along with hundreds of their fellow artists and were selected by how they matched with Allen, as well and their level of talent and stage presence. A relatively new performer, Tim Stout was ecstatic for the opportunity to play in front of such a lively crowd. “The largest room I’ve played before tonight had 50 people in it” Tim told Sonicbids. Caleb, meanwhile, is a live-touring veteran who has previously played venues like Mercury Lounge in NYC, and toured through Chicago and Nashville on a DIY bill. Tim opened the night as a duo of sorts (or a trio if you count his seamless loop pedal skills). He channeled his own style of Ed Sheeran’s loop-prowess and had a very tight Cajon player by his side. As he began his set, his acoustic guitar seemed to contrast with such a large stage and setting. Yet by the his first chorus Tim filled the room, dazzling the crowd with his soulful voice and ability to layer his acoustic guitar into what sometimes sounded like an 8 piece band. Caleb hit the stage next, and his band’s expertise in playing large venues was immediately apparent. Their visual light show and accompanying video projections engaged the senses of the nearly shoulder-to-shoulder room. Caleb’s energy, talent, and style had the audience clapping, jumping and dancing shortly after his set began. It was a successful night for everyone involved. Sonicbids’ mission to continue to give our bands exclusive opportunities like this is just starting. Sign up, and stay tuned for more coverage from the event including exclusive interviews, show photos, and a behind-the-scenes access, only through Sonicbids!